Many years ago, having seen the Piaggio Avanti in the flesh at Farnborough, I was smitten and I decided then and there that one day I would learn to fly this beautiful aircraft. I knew then that it was my destiny! That time finally came, when I completed the type rating course, and then shortly afterwards had the type added to my Commercial Licence. And what an enriching experience it was! When I first flew the aircraft it struck me just how nice, in fact not nice but really nice, it is to fly. The rate of climb after takeoff and the speed once in the cruise really is exceptional. The Avanti has much higher performance than anything I had flown before, and yet I felt at home after my first takeoff within minutes. All this is testament to Ing. Alessandro Mazzoni’s revolutionary and clever but relatively simple design. Beautifully harmonised and responsive flight controls, and plenty of power and therefore performance to delight any pilot. I challenge any pilot who is lucky enough to have an opportunity to fly the aircraft not to want one! So yes, first of all I really like the design – there is absolutely nothing else that flies in the skies of the world today that is remotely like it. And with all the improvements that come with the Avanti EVO as standard, there is no other aircraft that even comes close. Much has been written over the years about the aircraft type, but what I hope to do here is share what I like about the aeroplane, personally, from a pilot’s perspective. I love the overall presence, and that line of form akin to some of the best carrozzerias, the unmatched Italian style, fantastic cabin space and low noise levels in the cockpit and the cabin. I remember when I started up the Pratt and Whitney PT6A-66 engines on the Avanti for the very first time on my base training, that the engine noise was so quiet and unobtrusive in comparison with other aircraft types with a very similar PT6A engine I had flown before. The EVO has some excellent aerodynamic features designed in to the aircraft. The very cleverly designed and efficient flaps generate very high lift at low flight speeds, enabling one to land on airfields with really quite short runways, opening up many more destinations for an owner operator than would be possible in most conventionally designed pure jet aircraft. By virtue of its Three Lifting Surface design (TLS), it is a particularly safe as well as very efficient and stable platform, with lots of other little features designed into the airframe that benefit flight safety. In the cruise, sitting in the pilot’s seat with a panoramic view of an ever changing skyscape, and the distinctive forward wings below in your peripheral vision, you know you are flying a really quite special flying machine. Or “Che Bella Macchina”, as you might hear an Italian say about the aircraft. I’ll agree with that! Sitting in the very comfortable left hand seat, the cockpit is a very nice snug fit. The dual control columns are in absolutely their proper positions, directly in front of each pilot position, and exactly where they should be – no side sticks here! Everything that the pilot could ever want is close at hand and I think the overall impression is of a very pleasing design. The layout is absolutely perfect! The Avanti EVO is fitted with the Rockwell Collins Pro-Line 21 system as standard, so any pilot who has used this relatively common system on other aircraft types, will transition quickly to the Avanti EVO. I believe this really is a great system of real provenance and quality, and has been beautifully integrated into the aircraft. It’s just as capable if not more than many airliners flying around today. I recommend any pilot to have a look at the quality of the graphics on the three active flight displays (AFDs) for oneself. They will not be disappointed when comparing other aircraft for many millions of dollars more. I found that once I had done the study required to learn the system, it really does assist in helping the pilot to reduce cockpit workload during busy phases of flight, especially when flying the aircraft single pilot. With the latest avionics software upgrades, when the weather is not so good, many more instrument approaches are available to the flight crew than ever before. Satellite based (GNSS) LPV (Localiser Performance with Vertical Guidance) approaches (where published) are now available, where the approach is flown pretty much just like a traditional instrument landing system approach. This gives the pilot even greater flexibility in bad weather, when the conventional ground based instrument landing system transmitters at the destination airport are out of service for some reason. The LPV capability is complemented by the addition of the ADS-B Out data link feature, one of the key elements of the global air traffic modernisation plan, on all new Avanti EVOs. All the Jeppesen charts that a pilot could ever need can be displayed easily on the MFD (Multi Function Display) by use of the CCP (Cursor Control Panel). This simplifies approach briefings, and adds to that safety factor. I found the excellently executed TAWS (Terrain Awareness System) to take pilot situational awareness of high ground in the vicinity of the aircraft to the next level – especially a positive safety factor when operating in and out of airports near mountainous terrain. The TCAS-II system (Traffic Collision Avoidance System) also works very well, and comes in especially handy in building an accurate picture of other traffic in the vicinity of the aircraft when operating in and out of busy airports, especially where there is both visual and instrument traffic. The weather radar is excellent, and when combined with the lightning detection system, enables the pilot to formulate a safe route and give a wide berth to thunderstorms and convective weather with precipitation, enhancing passenger comfort and above all safety. The autopilot is great, and works very well in conjunction with the Collins FMS 3000 Flight Management System. The FMS is very logical to use, and does not take long to learn. I have found it very entertaining to watch the ILS autotuning in action. As long as the pilot has entered the destination airfield with the route on the FMS, and selected the ILS approach that is expected to be flown on arrival at the destination, the system will auto tune the ILS frequency and fly the approach for you. All the pilot has to do, as well as making some power setting changes to slow down, is to remember to select the Approach Mode on the Flight Guidance Panel (FGP) to be flown (once cleared by ATC), and reconfigure the aircraft for a manual landing, remembering to put the flaps, and most importantly the gear down! If he was remiss enough not to, then he will be alerted to his folly by a very loud gear unsafe warning horn! With a two crew operation and proper training, and where published, ILS CAT-II approaches can be flown, making use of the lower radio altimeter minima when the cloud base is really right down near the deck. I found the Avanti to be a dream to fly. Really not at all difficult once you get the hang of it. It’s nice and stable, fast and yet very manoeuvrable. I’d even say that a smart relatively low time instrument pilot with well honed aircraft handling skills will be flying it quite happily in no time. The design of that “fighter-like” landing gear is pretty forgiving, and will flatter any pilot on landing. Just remember though, in the cruise at altitude you are travelling over six miles a minute, so you’ve got be ahead of her at all times! Operationally, the fact that the Avanti EVO is powered by two very dependable Pratt and Whitney PT6A turboprops driving those beautifully designed Hartzell propellers, has turned out to be a great bonus in terms of the aerodynamic braking available, when compared to conventionally designed pure jet aircraft. Even though in the cruise, the EVO is able to keep up with jet traffic with ease, what has proven to be operationally very useful for the Piaggio Avanti aircraft family, is the aircraft’s ability to maintain high speeds on the approach to landing until relatively late on in the approach, before the aircraft needs to be slowed and reconfigured for landing. This can all be achieved without the need for added complexity and cost in the form of speed brakes and spoilers, like is commonly required on many pure jet aircraft. Unlike most conventional propeller powered aircraft, the Avanti EVO combines the benefits of having propellers with very high performance laminar flow airfoils on the main and forward wings, giving the best of both worlds. The airflow over the main wings has been designed to be laminar up to fifty percent rearwards from the leading edge, which is a real achievement. As the propellers are mounted behind the main wings, not only does that help to reduce cabin noise, but also minimises drag due to the lack of any air disturbance over the main wings compared to a conventional tractor propeller design. Above all though, what I like the most amongst all the other features, is that as a pilot you have a direct physical link between the flight controls in the cockpit via the control column and rudder pedals and the control surfaces, without any of the vagaries of having your control inputs processed by a computer first. And this I believe may well be perfectly in tune for that more traditionally minded pilot – he or she who may well already have a single engine turboprop or a slower VLJ (very light jet) who is ready to trade up to the classicism and panache of an Avanti EVO. In short, the Piaggio Aerospace ATO at Genoa Sestri – Cristoforo Colombo Airport is great! I like the small and personal nature, and its prime location. What it lacks in size it makes up for it in quality. I am one hundred percent confident that any private owner operator, company pilot, or any pilot who was to receive their initial training on the aircraft, or who had purchased an Avanti EVO, would be particularly well taught by the Organisation’s Head of Training, Lorenzo Villi and Chief Instructor, Maurizio Longaretti. These instructor pilots bring with them a disciplined standard of instruction and a wealth of experience on the aircraft type you will not find anywhere else. They are both ex military, Italian Air Force, being qualified test pilots. They both have extensive military fast jet experience, including on the Lockheed F-104 Starfighter. To me that says a lot. Above all though they are two of the most pleasant but professional human beings I have ever had the privilege to meet in aviation. They have both been most helpful and kind to me in my quest. Absolutely terrific in fact, and I don’t think you can put a price on that! 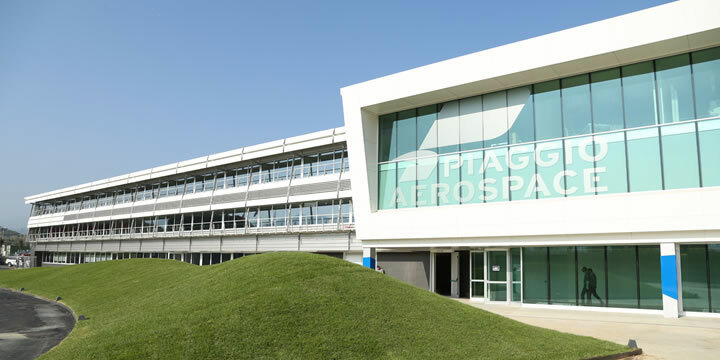 Piaggio Aerospace, with investment from the Mubadala Investment Company, have invested heavily in their building of a brand new purpose built production facility at Villanova d’Albenga, on the Ligurian coast in Italy. On the one hand it was sad to me that after all these years at their historic site at Genoa Sestri, that it was time for the production of the aircraft to move to a new site. The reality though, is that the site at Sestri had been outgrown, and to remain competitive in the industry and to excel in planned future production, a brand new site was the way to go. Once I had seen the new production facility, with its wonderfully modern architecture and facilities at Albenga, I was convinced that the move was the right thing to do for the company. The CEO of Piaggio Aerospace is Mr Renato Vaghi, and after the recent Air Charter Expo at Biggin Hill, I had the pleasure to meet him and join the Piaggio delegation for dinner. It was great to meet Renato and his colleagues and to see and hear everybody’s passion for the type. The new and modern Piaggio Aerospace 49,000 square metre, €140M aerospace centre of excellence at Villanova d’Albenga, where, amongst other models in the company portfolio, the Piaggio Avanti EVO is now exclusively produced. The home of Piaggio Aerospace in Liguria. 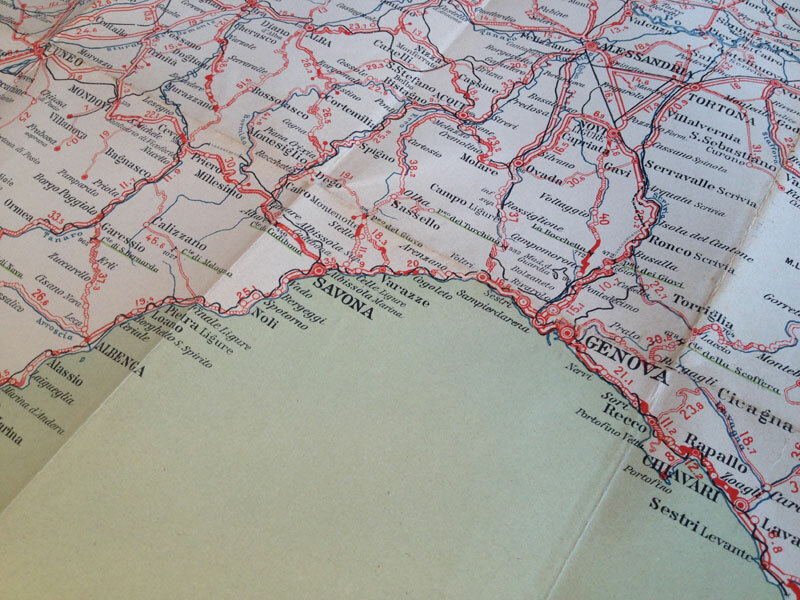 Taken from my original 1923 road map of Northern Italy. The Arroscia Valley, from above Garlenda. Villanova d’Albenga is on the right of this photo in the distance. I can attest that the Arroscia Valley, in which the production facility is located at Villanova d’Albenga, I found truly beautiful when I visited earlier in Spring 2017. One can sit on the terrace of one’s little casa rurale and enjoy the view, from the snow capped mountains in the foothills of the Alps, to the azure blue Ligurian Sea at the river’s mouth in the distance, and all far from the throng. The clear alpine air, the birds singing, and every so often an exotic red Italian sports car making music in the bottom of the valley (I later found it in Villanova – it was a lovely little Ferrari Dino together with a beautifully preserved Alfa Bertone GTV). And then together with that melody to bring a smile to one’s face, with maybe the odd Avanti EVO movement at the airport to complete the soundtrack, and my black Labrador Retriever for company. And then I could go on about the delicious Ligurian cuisine. All delightful! The Piaggio Avanti EVO incorporates several enhancements to make the ownership and operational experience even more pleasant than before. The new “Performance Package” includes innovative winglets on the main wingtips. These help to reduce induced drag in all phases of flight and contribute to a much improved reduction in time to climb to cruise altitude as well as contributing to excellent fuel economy. The forward wing tips have also been revised on the Avanti EVO, to further minimise induced drag, as well as the fitment of newly designed engine nacelles. All these enhancements together help cut emissions still further and improve climb performance. Any Piaggio Avanti aficionado will notice immediately the new curved five bladed Hartzell propellers installed on the Avanti EVO when the aircraft is at rest. These when coupled with the effect of the redesigned engine exhaust stubs, helps to reduce interior and exterior noise levels over and above previous variants by a significant margin. In line with the economic and efficient policy in the original design, nothing is wasted, and the engine exhausts of those venerable PT6A-66B engines contribute as much as five percent of the total thrust of the engines. Just like previous variants, these hot exhaust gases keep the propeller blades free from ice in icing conditions in flight, so there is no need for additional weight, complexity and drag of a propeller de-icing system. Those new reworked exhaust stubs, new propeller blade design and a reduction in maximum propeller RPM from 2000 to 1800 all help to make the aircraft a better neighbour when operating in or near noise sensitive environments. It was noticeable to me, when watching the EVO climb out after takeoff at Biggin Hill, that this latest variant is a lot quieter than the earlier versions. Passenger comfort is further improved on the EVO thanks to an internal noise reduction of 1 dB(A) or twenty percent, making the signature cabin a really pleasant place to be, especially for longer flights. Another improvement of note is the completely new landing gear system, manufactured by Magnaghi Aerospace in Naples. Magnaghi, in the shadow of Mount Vesuvius, has over many decades, had extensive experience of designing and manufacturing landing gear for mainly military applications. My impression of first seeing the system this year on the Avanti EVO, was of the quality, and beautifully detailed finish. The real plus of this new system is the increased time between overhauls, increased to 15 years and 10,000 cycles when compared to the older system with a shorter life on earlier Avanti variants. This new landing gear system incorporates a new anti-skid braking system which is a real plus, considering that the EVO has those very powerful carbon brakes. I am sure this system will reduce the chance of tire damage especially when landing on runways with highly variable friction coefficients, caused by rubber patches, and combination wet and dry areas. Incorporated into the new landing gear is a new improved digital nosewheel steering system, which is nicer for the pilots than the earlier system, reducing complexity of pilot operation. The Avanti EVO is also fitted with a new LED exterior lighting system. Each LED array on the new landing gear, even though very effective, I am sure will reduce current load on the electrical system as compared to the original incandescent units. They really are brilliantly bright for landing, which is especially useful for night landings at smaller airports with no runway centreline lighting, and almost certainly greatly extended life as compared to the originals on earlier Avanti variants. In terms of comfort, a new improved air conditioning system for the flight compartment and cabin is fitted to the EVO as standard. This will be especially welcome when operating the aircraft to warmer climes. A new improved cabin lighting system has also been integrated into the new cabin. 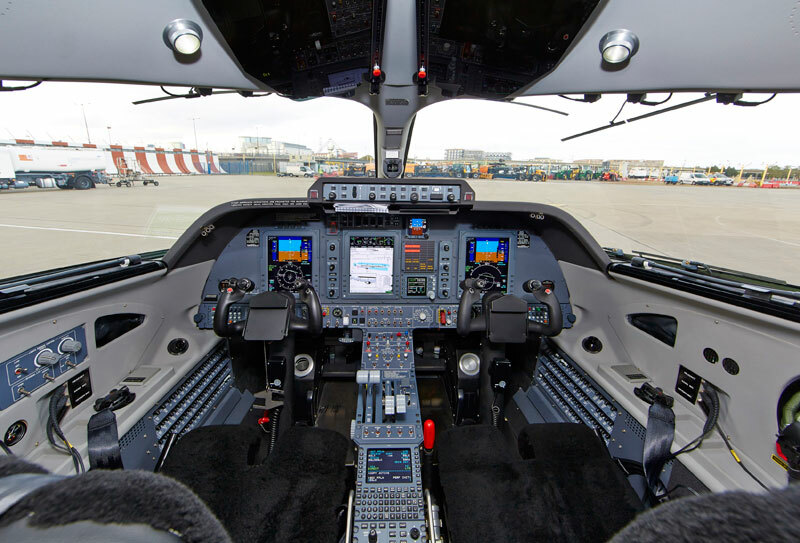 I was really impressed with this system when I saw it recently in operation on the Avanti EVO exhibited recently at the Air Charter Expo at London Biggin Hill Airport. The new cabin seating really is lovely. Piaggio Aerospace have sourced these specially designed seats from Iacobucci Aerospace. They are finished by luxury outfitters, Poltrona Frau. Their leather work has beautifully precise stitching and exquisite details. In addition there are now a multitude of new cabin interior colours, designs and passenger seating options, and the spaciousness of the cabin is really quite remarkable for an aircraft of this size. The average sector length for Piaggio Avanti operations has been seen to be just over one hours’ flight time. There will be some though, as always, who want to fly a lot further and longer in one sector. 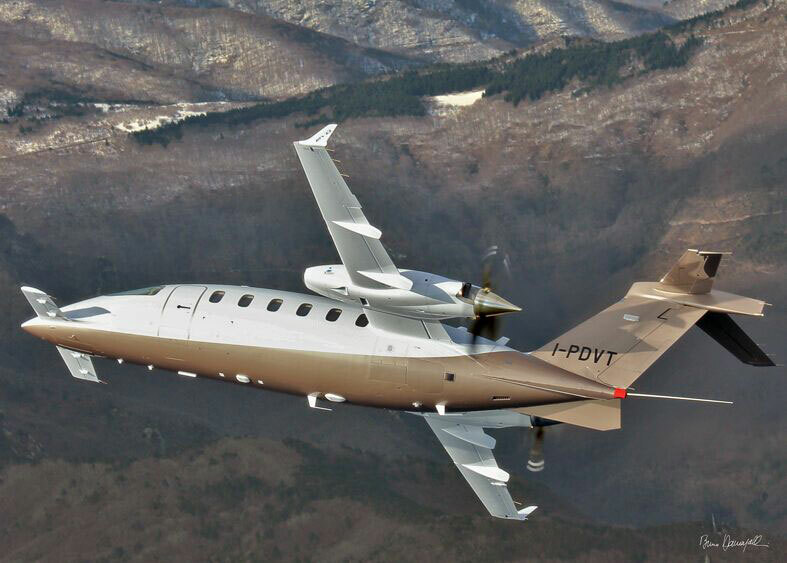 To satisfy this need, Piaggio Aerospace now offers an increased range configuration as an option on the EVO. This entails the fitment of an additional fuel tank to increase maximum range, including fuel reserves, from 1,490 NM to 1,770 NM. This increased range option brings places like Moscow, Istanbul, Ankara, Cyprus, almost all of North Africa, the Canary Islands, the Azores, Iceland and south eastern Greenland, and the far north eastern extremities of Scandinavia within easy reach from a London base. It was bright but windy and turbulent in the lower levels for the Piaggio Avanti EVO demonstration day, organised by ConnectJets, following the Air Charter Expo at Biggin Hill the day before. Due to the relatively high wing loading of just over 67 lbs. per sq. ft., the Avanti EVO took the weather in its stride, and I saw plenty of smiling, no, very wide grinning faces, from those who had flown in the aircraft on their return to the Signature Flight Support Centre after landing. Passengers were impressed by the power of the engines on takeoff, the impressive climb performance, speed and quietness and comfort in the cabin. Most Piaggio Avanti owners to date have opted to have either one or two commercially licenced pilots fly them in their aircraft. There are out there though a few owners who fly the aircraft themselves. So let’s just say a well heeled individual wanting to own a Piaggio Avanti EVO, with a Private Pilots Licence with Multi-Engine Instrument Rating, wanted to fly the aircraft himself, would that be possible? Well the answer is yes, subject to meeting the following stringent requirements. I write here referring to the Regulations in force for European (EASA) licence holders, as would be issued by the United Kingdom Civil Aviation Authority. In addition to these, before the start of the type rating course, the designated instructor at the Piaggio ATO would carry out an assessment flight with that pilot, following which, based on their extensive experience, the instructor would be able to get a pretty accurate estimate of the flight time required to complete the P180 type rating course successfully. Remember the course enrolment and course hours quoted here are the absolute minimums. The Avanti EVO is a hot ship, and for that reason is categorised in flight crew licencing terms as a High Performance Complex Aeroplane. This means that there are certain minimum requirements which must be met before one could be enrolled onto the type rating training course. Obviously the pilot must have a minimum of a PPL-IR (Private Pilot Licence), and they must have a minimum of 200 hours of total flying experience in aeroplanes, of which a minimum of 70 hours of flight experience must be as pilot in command (PIC) on aeroplanes. They must also complete and have been issued with a pass certificate of additional theoretical knowledge issued by an ATO (Approved Training Organisation) and hold a multi-engine instrument rating qualification. If the owner pilot decided he would also want to have that additional level of safety, by operating the aircraft together with another suitably qualified pilot (the best option in my view), then he/she would also need to have completed an approved multi-crew cooperation (MCC) course. The Type Rating Training Course itself consists of a minimum of six pilot under training (PUT) training sorties, plus the Licencing Skills Test (LST) at the end of the course with a designated flight examiner, whether that be the Single Pilot (SP) or Multi Pilot (MP) course. Having done the type rating myself, I believe that all prospective Avanti EVO pilots will give themselves the best possible experience of the type rating course, by making sure they have done the necessary study on the aircraft and all of its systems prior to commencing the course itself. Methodical study of the manufacturer’s manuals, and especially familiarising with the most important flight procedures and learning the Collins Pro-Line 21 system are the order of the day here. Work done beforehand will pay dividends on the fast-paced type rating course itself. It’s all very lovely buying one’s own Piaggio Avanti EVO, and then being flown in it or flying it yourself. But sooner or later, your pride and joy will need some routine maintenance, to keep your asset in tip top condition, as well as conforming with required periodic maintenance inspections and regulatory requirements. 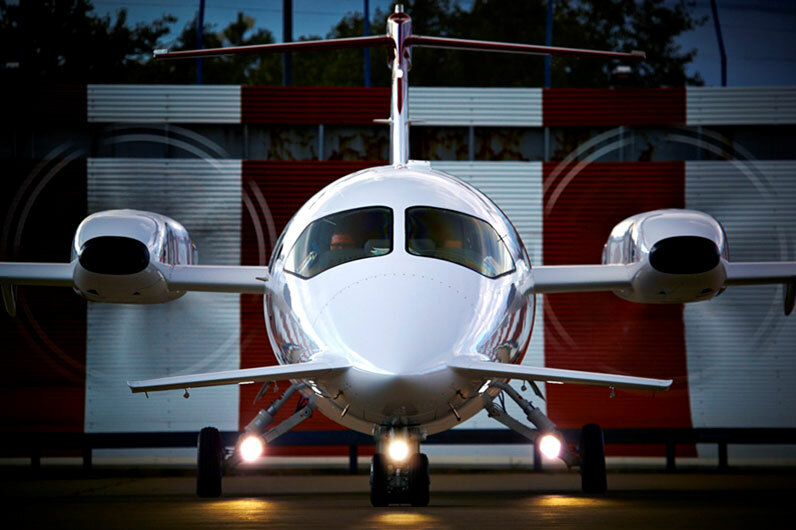 The good news is there are now five authorised service centres in Europe, including Piaggio Aerospace in Genoa, and now an authorised service centre in the UK at Biggin Hill Airport. This addition really does give UK owners and operators that greater level of convenience, flexibility and options than ever before. I have had a great time learning to fly the Piaggio P180. From a pilot’s perspective it’s really nice to fly, and passengers love the low noise levels and room in the cabin as well as that unmatched Italian style and exclusivity. In terms of performance, there is absolutely no other aircraft around that can cruise at the speed of an Avanti EVO, yet burn even less fuel over the same distance. With a top speed of 402 knots, it’s almost one hundred knots faster than any other turboprop of a similar size, and yet flies at jet like speeds on less fuel. It’s a masterpiece! This delightful aircraft definitely stands out from the crowd on many levels. Even today the Avanti EVO is still revolutionary, and yet a modern classic. It just has that certain «je ne sais quoi» about it, and I rather like aeroplanes like that! And last but by no means least, what I have recently found nice to see is the passion, enthusiasm and dedication from Gabriella Somerville in promoting the Avanti EVO in the UK. You can tell on meeting her, that Gabriella genuinely loves the aircraft. Gabriella is the founder of ConnectJets, the official sales agents for the Piaggio Avanti EVO in the UK. Her efforts in increasing awareness in the market of this unique aircraft are really great to see. The Piaggio Avanti EVO possesses a purity of line in its design, which I doubt any owner will ever tire of. 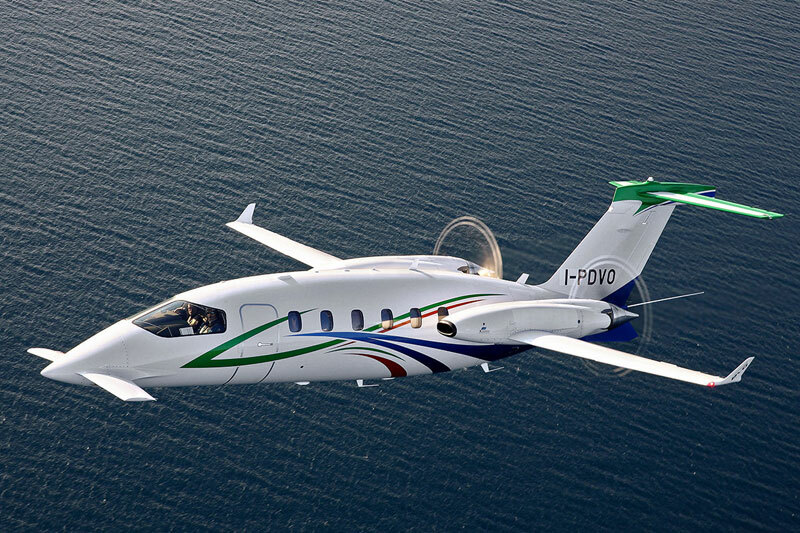 Any individual or company in the UK wishing to purchase the Piaggio Avanti EVO may contact Gabriella Somerville at ConnectJets. 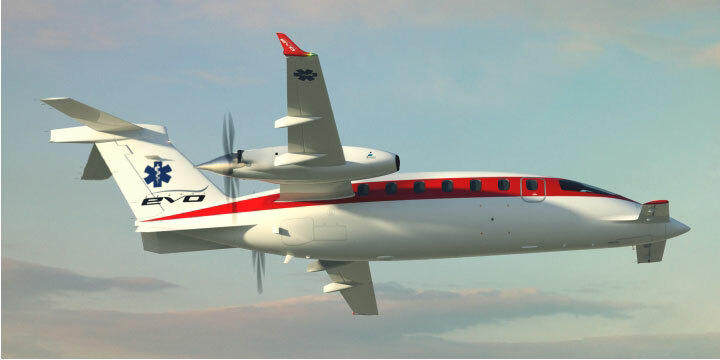 ConnectJets are the official agents for the Piaggio Avanti EVO in the UK, Channel Islands, Ireland and the Isle of Man. Gabriella is based in London and is Founder and Managing Director of ConnectJets. 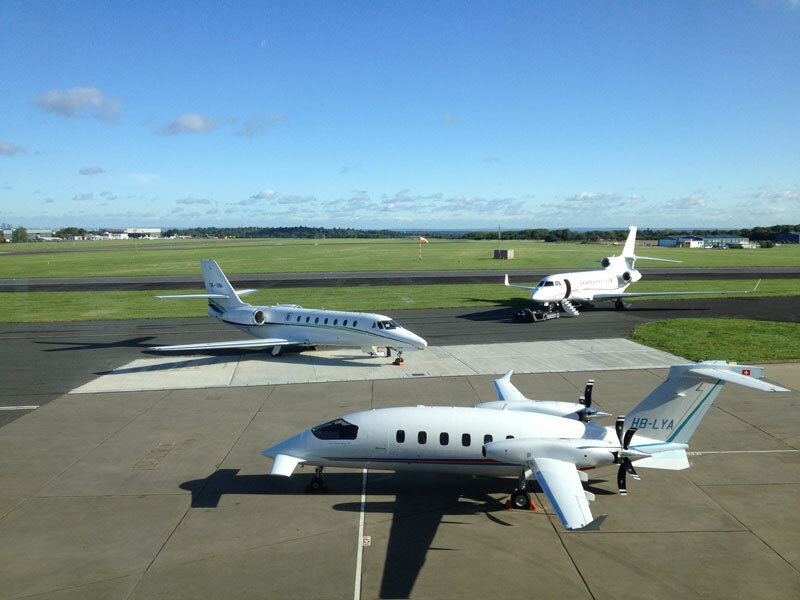 ConnectJets are the official agents for the Piaggio Avanti EVO in the UK, Channel Islands, Ireland and the Isle of Man. 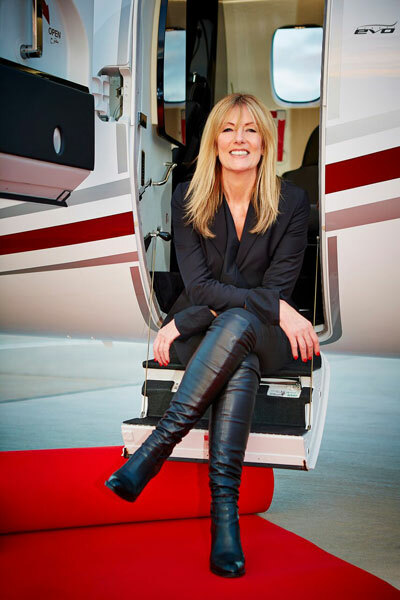 Gabriella’s vision for ConnectJets was borne out of her passion for private aviation. 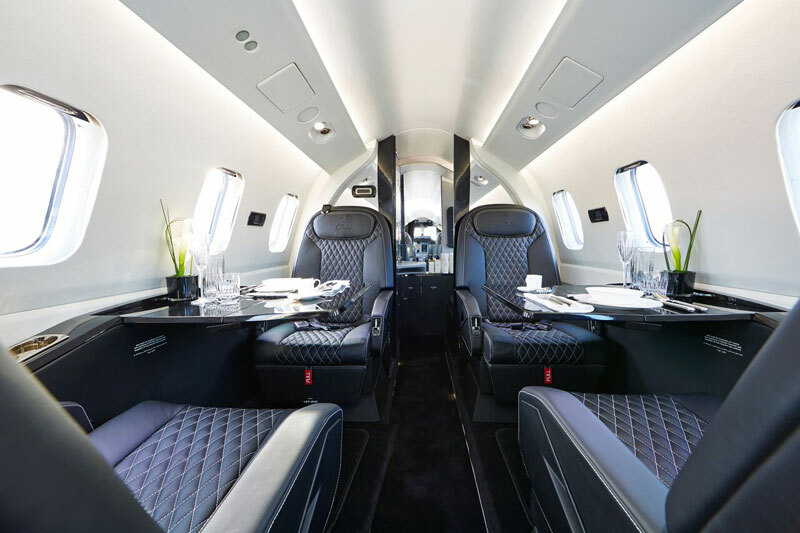 ConnectJets is Gabriella’s platform for presenting the private jet model to a wider audience, by simplifying the process and delivering a competitive and client focused service. Key to enhancing ConnectJets leading position is Gabriella’s continuing commitment to develop innovative new products and services, leverage the potential of emerging markets, and build value-added quality partnerships. Gabriella has over 20 years’ experience in commercial and business aviation. Beginning her career at Virgin Atlantic in 1988, she served as an integral member of the Cabin Crew promotional team. In 1995, she moved to British Airways and spent the next six years in various roles, including Fleet Manager, Customer Services Manager and a much-coveted post working with Special Services. In 2005 she went on to launch a boutique events management start up, creating bespoke events for private jet and concierge agencies throughout markets in Europe, the Middle East and Africa. In 2007 Gabriella joined Bombardier Skyjet International, the private jet charter division of the world’s largest business jet manufacturer. As Client Relationship Manager, Gabriella handled the critical relationship between the private jet charter company and its Clients. Combining aviation industry expertise with exceptional client relationship skills, Gabriella introduced a new customer relations strategy to develop future business growth opportunities throughout Europe, the Middle East and Africa. As Vice President Program Sales for Vistajet, Gabriella helped to establish VistaJet programmes in London and Southern UK markets, developing significant alliances with key luxury partners. Flying since the late 1980s and type rated on the Piaggio P180 family of aircraft, David holds a Commercial Pilot’s Licence and Flight Instructor Rating. He cut his teeth flying in the UK, his country of birth, and for the last twelve years has been based in Cádiz, South West Spain. For ten of those years he instructed cadet pilots at one of the largest Approved Training Organisations in Europe. Holding the position of Quality, and later Compliance Monitoring Manager, he worked closely with both the UK Civil Aviation Authority, as well as later with the Spanish National Authority AESA, in the process of transfer of National Authority oversight from the UK to Spain. In his Compliance Monitoring capacity for the ATO, he acted as a point of contact in this field for representatives of the customer airlines, as well as working closely with the Accountable Manager and other key positions. He likes most things Italian, and requires very little persuasion to visit this lovely country, with its iconic gastronomy, beautiful landscapes and its well deserved reputation as the cradle of all things exotic that either drive, float or fly. 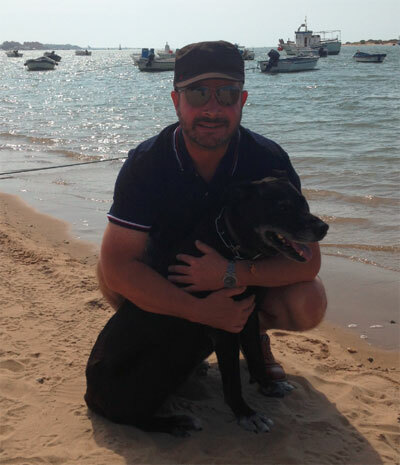 Most times he is accompanied by his beloved Labrador Retriever cross, and total aviation canine, “Sheba” who he found abandoned in the middle of winter up in the Sierra Nevada mountains in Spain. He brought her back to her new home and nursed her back to health. And the rest, as they say, is “history”.